Perfect for laundry household use and closet storage organization. It is a shoe drying rack with two specially designed Inverted holes at the bottom and two support frames on both sides. The Inverted holes are specially designed for boots, which can prevent boots from deforming, also suitable for sports shoes and casual shoes, etc. The support frames can hold and hanger any kinds of shoes except boots. High quality and thickening plastic material, not easy to break, high bearing capacity. Not easy drop, this hanger has a windproof hook that can be rotated 360 degrees and suitable for rods with a diameter less than 25mm. 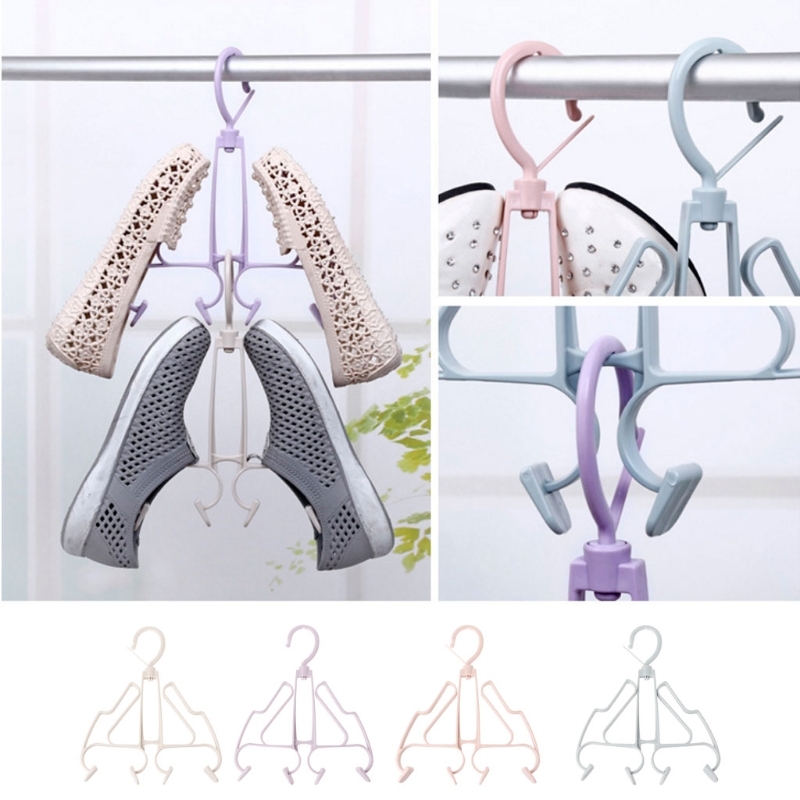 The bottom of the hook can hang another shoes rack in series, also can hang shoelaces, which helps to save the space of your wardrobe and balcony.